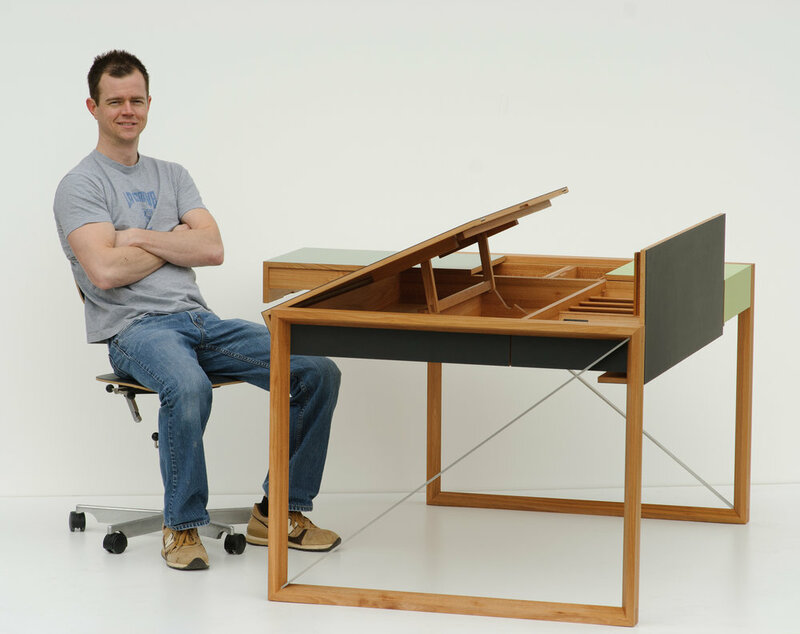 David Kremer is an award winning woodworker and furniture maker in Denver, Colorado. Upon completing a degree in business, he discovered his true passion was in woodworking. This inspired a return to Germany, his birthplace, in 2008, to work in his uncle's woodworking shop and study furniture making. He completed a Masters (Meister) of Woodworking in Wiesbaden, Germany in 2013. Kremer’s work fuses engineering and art, producing not only creative forms and shapes, but intricate, functional designs. Living in Europe left a clear impression on his style and influenced his craftsmanship with lessons of quality, efficiency and precision. His clean aesthetic along with a respect for traditional building techniques allows him to mix modern with classic, and simple with complex. Kremer's work pushes beyond style to accomplish purposeful design.